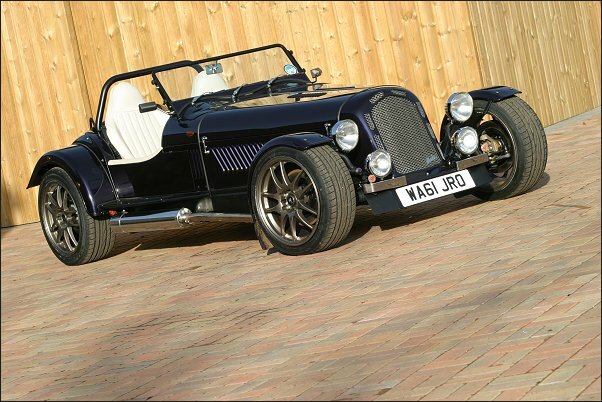 Welcome to Madabout-kitcars.com your online resource dedicated to UK kit cars. Marin are now offering the opportunity for another BMW donor vehicle to be used in their popular single donor kit, the Marlin Sportster. This has been achieved by completely re-designing a third of the rear end of the already successful 3 series BMW chassis. This allows for the simple fitting (four major bolts) of the entire BMW aluminium rear axle assembly used, in among others, the 5 series. Marlin were the first company, back in 1997, to offer BMW options as a single donor for their Marlin Sportster model using the straight forward but reliable 2 litre E30 series. After this they progressed onto the E36 6cly single & double overhead cam engines right up to the mighty M3 EVO units. �	Engine & gearbox assembly (complete with all the parts needed to run the assembly) including ECU, engine sensors, engine loom etc. �	Rear axle assembly � As it comes out of the donor with the entire aluminium tube carrier assembly to include brakes, diff, shafts and hubs. The whole assembly is held in the car by four large bolts for easy removal. This then will re-fits into the Marlin chassis the same way. N.B You can use the column switches & cowlings if you choose just don�t forget the ignition key & lock assembly switch if you do. �	Wheels & tyres can also be used if you want��.. they will fit. The new chassis will be on the Marlin stand at the Exeter Kit Car Show 27th & 28th October.